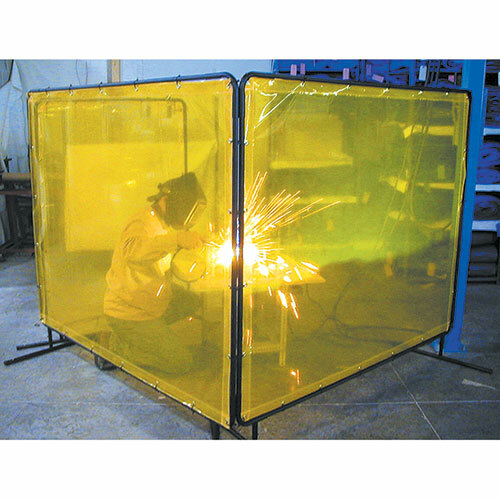 Protect employees from dangerous welding flash and sparks with Goff's sturdy, free-standing safety screen. Available in Green, Red, Smoke Gray, or Yellow. Weight: 12 - 25 lbs.